You should apply in the prescribed format for the following posts in the Dibrugarh University Institute of Engineering and Technology (DUIET), Dibrugarh University. Applications should reach the Registrar of Dibrugarh University on or before 06/07/2017. Applications are invited from the intending qualified and competent candidate. 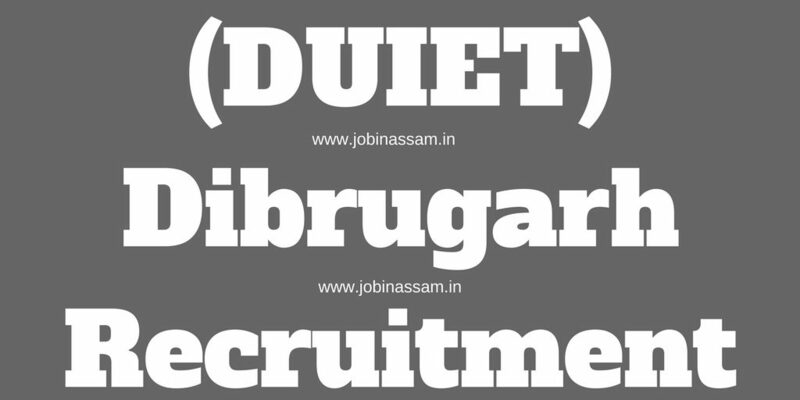 For DUET Recruitment 2017, you should apply on the prescribed form. The prescribed form for the above posts can be downloaded from the Dibrugarh University website. Website of Dibrugarh University is www.dibru.ac.in. The application form must be submitted to the Assistant Registrar (Admn) i/c, D.U. along with all the necessary documents. You should also attach a Money Receipt orDemand Draft of Rs.100/- (Rupees One Hundred) only. This may be drawn in favour of the Registrar, Dibrugarh University payable at Punjab National Bank, Dibrugarh University Branch, (Code 994000), Dibrugarh.